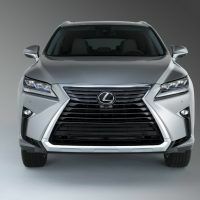 Lexus redesigned the RX 350 for the 2016 model year and, in a way, it looks as if the lines were chiseled by a samurai’s sword. 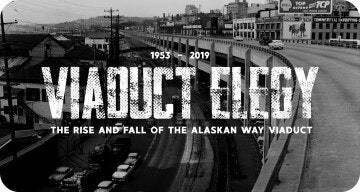 It exudes a new attitude that shouts contemporary and easily runs away from the conservative models of the last generation. 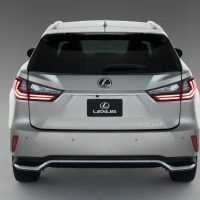 And now, Lexus gives the RX a third-row seat for the very first time. 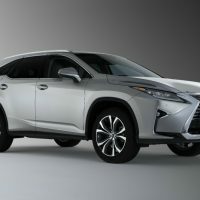 Families wanting luxury with more kid-hauling capability can now look at the Lexus RX. This past weekend, we drove the new 2018 Lexus RX 350L. 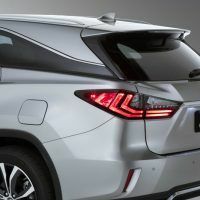 The 2018 Lexus RX gets a new 350L variant with third-row seating. 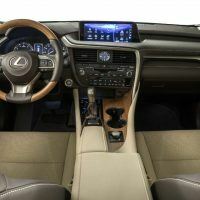 The 2018 RX 350L ($49,070) comes standard with leather upholstery, rearview camera, nine-speaker audio, an eight-inch screen, HD and satellite radio, CD player, Bluetooth, and full-time all-wheel drive. 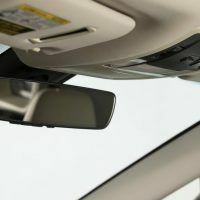 Options on this tester included Blind Spot Monitor, heated/ventilated front seats, heated rear seats, navigation, Mark Levinson premium audio, 20-inch alloy wheels and a power tilt/slide moonroof. Total MSRP including destination: $58,190. Stepping into the 2018 Lexus RX 350L cabin we were greeted with an attractive contrasting color scheme. The seats were surrounded by black leather accents on the doors and dash. Metal trim is featured on the dash, console, and door panels for an extra contemporary look. The cockpit is driver-focused with plenty of leather trim and quality materials throughout. You can’t miss the large 12.3-inch screen in the middle of the two-tier dash. We felt right at home in the cabin. We especially liked the cooled front seats during a recent 100-degree Denver day. 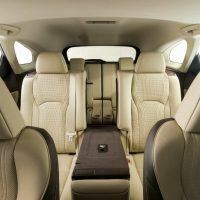 The back seat offers enough legroom and headroom for taller passengers. 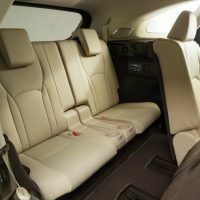 The soft leather rear seats are especially comfortable for longer rides as our passengers commented on our extended July 4th trip. The new third-row seat isn’t big enough for adults but perfect for kids. Even with the second-row seat positioned all the way forward, average size adults will find the lack of legroom problematic for anything other than a short trip. It’s a similar story for headroom: You’ll find your head brushing up against the headliner if you’re taller than 5 feet 5 inches. Access to the third row is so-so. 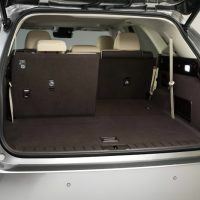 The second-row seats have a handy lever that brings the seat backs forward and unlocks the fore-aft adjuster, allowing the seat to slide forward and make a narrow aisle to crawl into the third row. 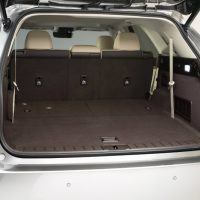 The standard RX, with its rear seats up, has 18.4 cubic feet of cargo volume, while the L provides 23 cubic feet of volume with the second and third rows up. But with the second and third rows folded down, the gains are less tangible. 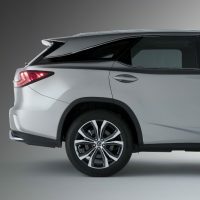 The regular RX has 56.3 cubic feet versus 58.5 cubic feet in the L.
The 2018 Lexus RX 350L is powered by a 3.5-liter V6, developing 290 horsepower and 263 lb-ft. of torque. It comes mated to an eight-speed automatic transmission with steering wheel paddle shifters. It sends power to all four wheels by way of a full-time, Active Torque Control system. EPA-estimates come in at 18/25 city/highway and 21 combined with all-wheel drive. We couldn’t tell much difference between the new L and the standard RX. The crossover offers good communication with the road for an energetic and fun experience, whether in the city or on mountain roads. 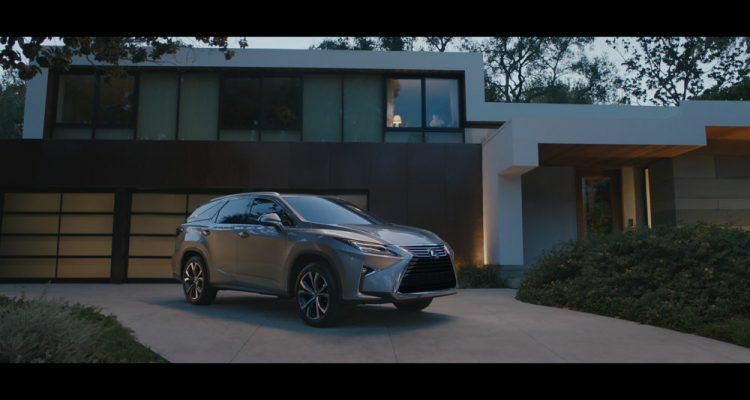 Along with performance, the main goal of the Lexus RX 350L is to provide occupants with a comfortable ride and plenty of utility. 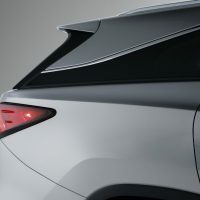 Visibility is good, especially in the city, with thinner pillars and wider rear quarter windows. On the open road at highway cruising speed, the cabin is quiet. The ride is smooth, even with the larger 20-inch blackened aluminum sport wheels our tester had. The RXL did send some engine noise inside, but it’s barely noticeable. When we got out of town, we chucked the L around some tight mountain curves. 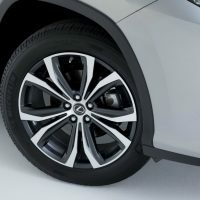 The RX suspension kept the crossover stable and flat. With the V6 having more horsepower than previous models and combined with all-wheel drive, we felt safe, secure, and confident well beyond any average commute. 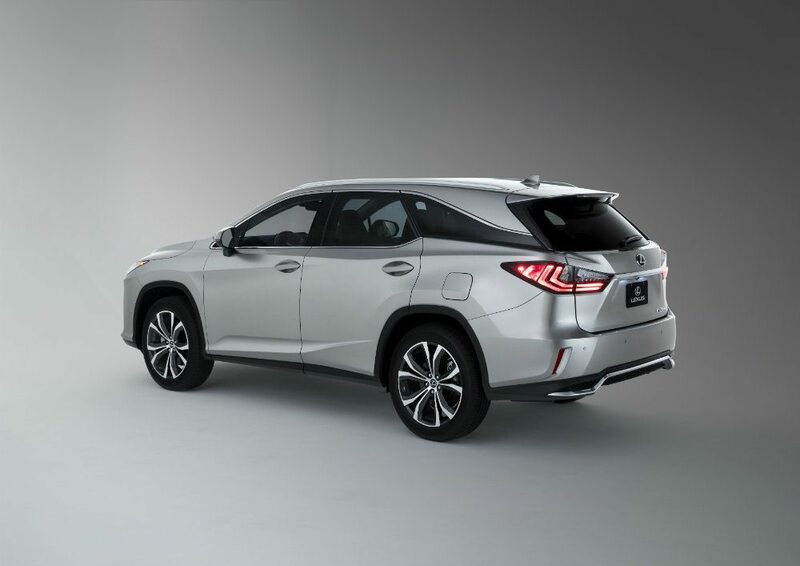 The 2018 Lexus RX 350L features Drive Mode Select, which affects powertrain response and steering effort. You can select the mode based on your driving preferences. 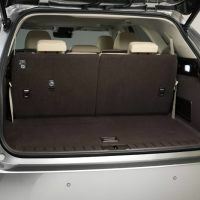 The 2018 Lexus RX 350L is a good crossover for families needing a third-row seat. It delivers the smooth, quiet, and comfortable ride you would expect from a luxury vehicle. 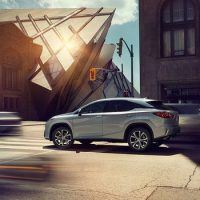 There are lots of positive attributes that make the Lexus RX 350L a smart, practical, energizing choice for families. 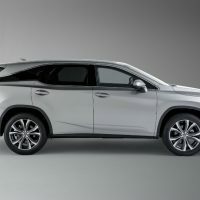 No Comments on "2018 Lexus RX 350L Review"